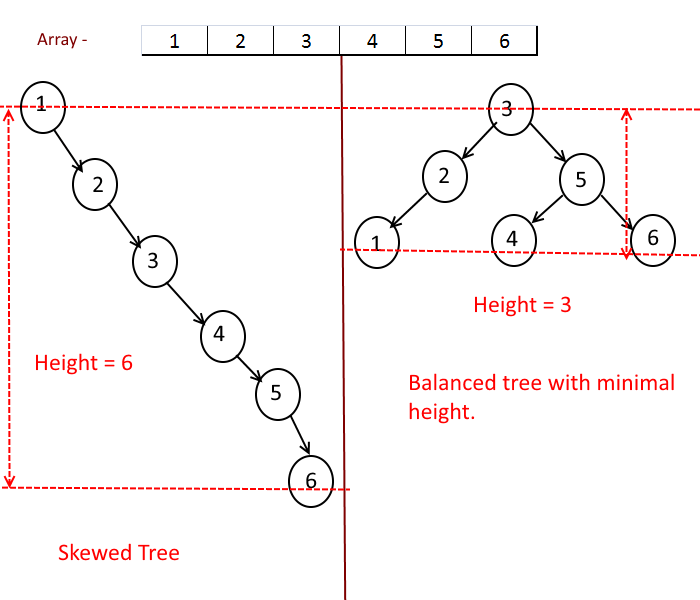 Objective: Given a sorted array with unique elements, Create a binary search tree with minimal height. We can do the linear scan to the array and make the first element as root and insert all other elements into the tree but in that case tree will be skewed , which means all the nodes of the tree will be on the one side of the root so the height of the tree will be equal to the number of elements in the array. So here our objective is to keep the tree balanced as much as possible. Take the left half of the array, call recursively and add it to root.left. Take the right half of the array, call recursively and add it to root.right. 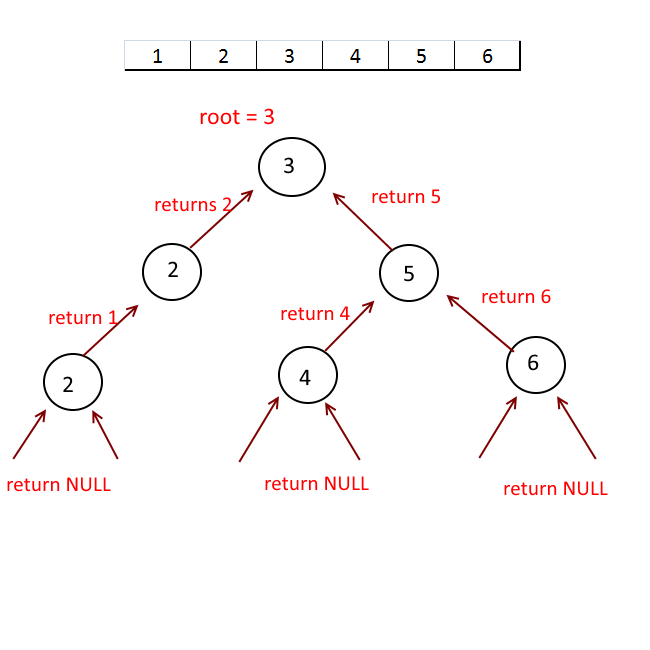 Previous story In a Binary Tree, Create Linked Lists of all the nodes at each depth.